James Hubert Blake was born February 7, 1887 in Baltimore, Maryland. Eubie was the sole surviving child of former slaves, and showed musical aptitude in his early childhood. He remembered “ragging the hell out of” Schumann’s “Träumerei” on the family reed organ. 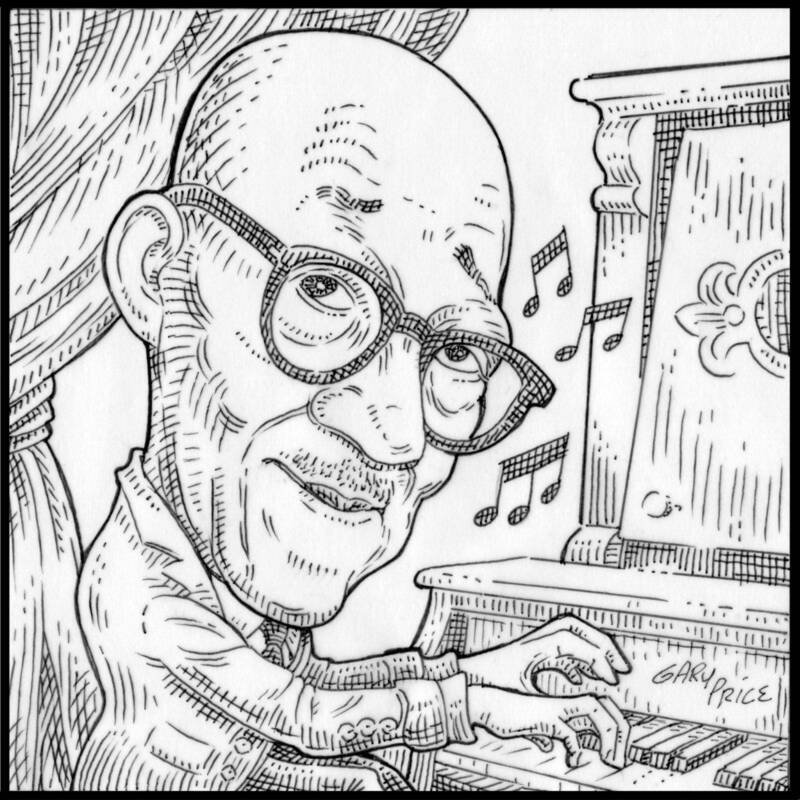 His mother said, “Take that ragtime out of my house.” He’d heard syncopation in the black church music and funeral parades around Baltimore, but “ragtime” was a new word to him. Despite his mother’s objections (and fear for his soul), Eubie was by age 15 making much more money playing piano in Aggie Shelton’s bordello than his father earned as a stevedore. As his first big break, in 1907 Eubie was hired by world champion boxer Joe Gans to perform at Gans’ Goldfield Hotel. By 1912, he was working in vaudeville with James Reese Europe as an accompanist to dancers Vernon and Irene Castle. He met his longtime friend and collaborator Noble Sissle in 1915, and the two made entertainment history: first in 1921 as co-composers of Shuffle Along, the pioneering Broadway musical written by and about African Americans, and later as performers in three DeForest sound films made in 1923. Eubie said he composed his famous “Charleston Rag” (also known as “Sounds of Africa”) as early as 1899, though he didn’t write down the music until 1915. He wrote such standards as “I’m Just Wild About Harry,” and “Memories of You.” After a career lull in the 1940s, he was rediscovered in the 1950s as one of the last remaining performers from the ragtime era. From then on, he was in demand as a lecturer, performer, and educator at colleges and music festivals. He often appeared on television with Johnny Carson and Merv Griffin, and even with Gregory Hines (star of the 1978 musical Eubie!) on Saturday Night Live in 1979.